The WhatsApp Sniffer for Windows is an excellent application that allows the user to use this spy tool on Windows. Now, with the help of this application, you will be able to hack any WhatsApp account you like to with just a single click. At the same time, this tool is also easy to use, and it is free as well. Whatsapp is an amazing communication Android app that helps you to get in touch with each one of your contact on your sim card. It is also working in windows PC. If you want to hack user data of WhatsApp from windows, this article is for you. Here, we’ll present for Windows version and how to use it with Bluestacks and Nox android emulator. People who are users of WhatsApp they must take care of their privacy because there are a couple of privacy issues lead to this messenger app. And let me show you how? Read the rest of the article to know how your private chats, audios and even videos are not secured. You will be able to download and use the WhatsApp Sniffer for Windows without any problem. Now, let me tell you about the WhatsApp Sniffer tool. It is a hacking tool that allows all the users of this app to hack any WhatsApp account. However, it breaks the systems of WhatsApp and brings the data of the victim. In addition to that, you will be able to get the messages, photos, and videos of your victim through this application. Moreover, it is the perfect choice for all Windows users that it is because of it reliable and compatible with the Windows Operating System as well. On the other hand, it comes with a simple interface that makes it easy to use the app, and it is free to use as well. So, you should use this tool. How to Install WhatsApp Sniffer on Windows using BlueStacks? BlueStacks is an Android App Player that allows you to run Android apps on PC. Following are the steps on how to install any app on PC with Bluestacks: To use the WhatsApp Sniffer on Windows, you have to follow the below steps. At first, you have to download and install the BlueStacks on your Windows PC. After that, you need to launch this app player. At the time this application is launched, you need to press the My Apps button on that emulator as well. Install Whatsapp sniffer app by downloading from this link. You will see Whatsapp sniffer app in the main screen. If you do not see the tool. Then you can search on the emulator. Now you will see many search results and find out the installed app and its logo. After that step, you have to Login to that app with your Google account and other information of yours. After login, the installation process will start for Whatsapp sniffer app depending on your internet connection. If you are having LOADING issue with BlueStacks software install the Microsoft .net Framework software in your PC. Or comment below your problem. How to Install WhatsApp Sniffer on Windows with Nox? 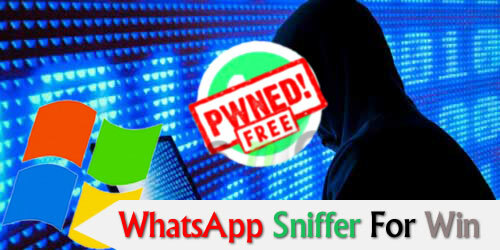 You can also install WhatsApp Sniffer on Windows with Nox software. Now, the steps are in the below. Firstly, you have to download and install the Nox, app player. Then you have to log in to your Google account after the installation process. After that, install the Sniffer app, and at the time, the installation will complete, you will be able to use the app. If you are using Nox player for installing Whatsapp sniffer app in pc, there is an option given within the emulator (Ctrl ++ is the short key). Who can hack WhatsApp conversations from Windows? Some people are gossips by nature, but the majority use of WhatsApp sniffers for windows is not recreational. There are several contexts in which it becomes necessary to use. Perhaps the first and most common case is that parents who want to monitor their children. It is the best place to control if they are involved in any problem or go with companies that are not recommended. They also resort to sniffer those who suspect that their partner is seeing another person. Thanks to this WhatsApp sniffer they can leave doubts about the stability of their relationship avoiding launching unfounded accusations. It is also commonplace the case of many entrepreneurs who decide to control the phones of their company. This is the way they know if their workers waste time or reveal sensitive data. Conclusively, the WhatsApp Sniffer for Windows is perfect for Windows users. In the meantime, you will be able to spy on other user’s WhatsApp account without any effort. Besides, it is free to use as well. WhatsApp Sniffer for windows works like awesome. It helps you to know the chats, audios, and videos of your family members from the app. The app allows you to receive the text messages, audios, and videos from the phones that use the same WiFi as you. Comment below for any problem.